Or at least, in-progress. 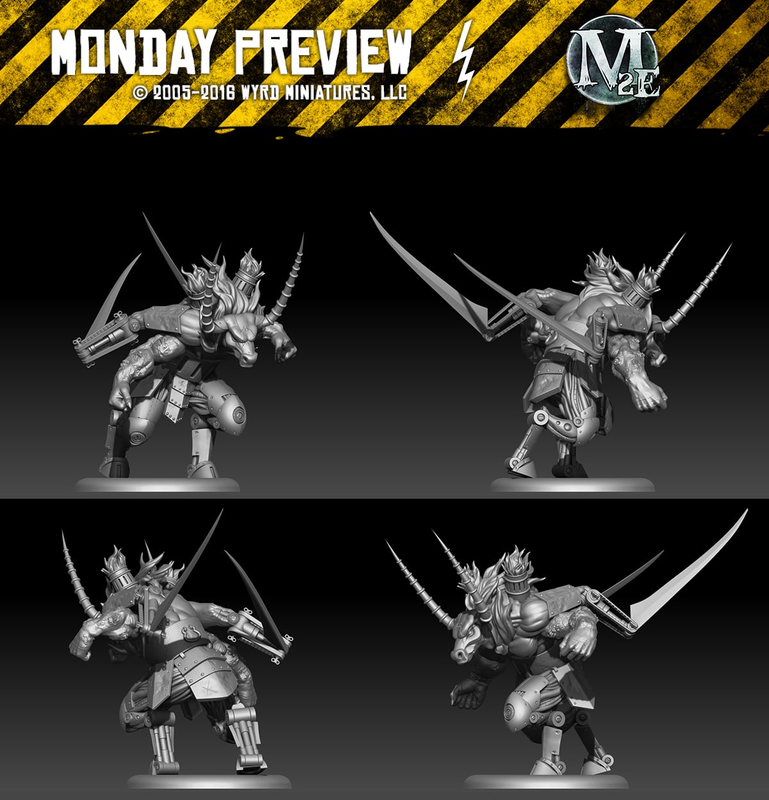 This seems to be one of the more-robust minis we've got in the Monday Preview recently. That fine cut of beef there is the Arcane Emissary. He's one of the Emissaries of Fate. He's part of the Arcanist faction and brings good range, melee power, and a bit of utility to your crew. If you want to up the power level even a bit more, there's unique upgrades for each Arcanist Master that you can attach to him.